The Tripoli-based Audit Bureau has called on the Tripoli-based Central Bank of Libya (CBL) to speed up the processing of stalled Letters of Credit (LCs). 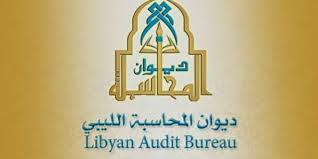 In a letter to the CBL, published yesterday, the Audit Bureau accused the CBL of being late and slow in opening letters of credit for the import of essential goods urgently needed by the Libyan public. Some of these LC requested where made in July this year. These included LCs for the state Price Stabilization Fund (PSF) for 21,000 tons of sugar. The PSF imports essential items such as foodstuffs for sale or distribution through the local cooperatives at subsidized prices. There were also LCs requested in August for US$ 615 million for the import of stationery, office equipment and production needs for the industrial sector. This total figure includes US$ 80.37 million for 43 flour mills. There were also LCs from August for 12.9 million Tunisian dinars again for the import of stationery, office equipment and production needs for the industrial sector. The Audit Bureau called upon the CBL to either approve the opening of these LCs or respond in writing giving the reasons for the delay in order that the Audit Bureau can follow up on the causes of the delays. 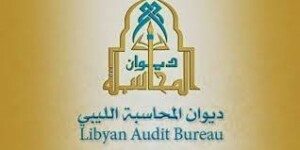 The Audit Bureau views the adequate supply of essential goods such as foodstuffs by the PSF as an important tool in mitigating the current supply bottlenecks experienced by the Libyan market and high inflation and prices. It will be recalled that the Tripoli-based Audit Bureau head has been engaged in a power tussle with the CBL over which of the key Libyan institutions is responsible for Libya’s economic and financial crisis. This power struggle has manifested itself recently in lengthy televised press conferences and interviews by both the Tripoli Audit Bureau head and the Tripoli CBL Governor.